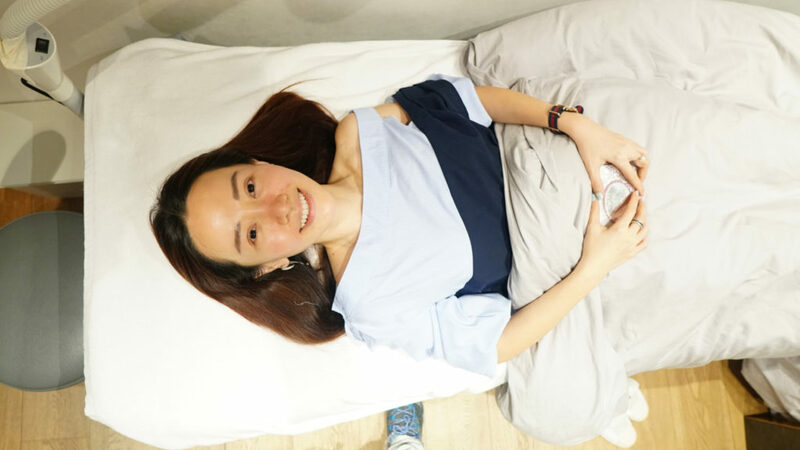 The constant rushing around for work and media events in 2018 had created havoc to my skin, with pigmentation appearing and pimples popping out, leaving blemishes or enlarged pores. I also had a big ‘hole’ or enlarged pore on my nose due to a pimple and everytime I looked at my face in the mirror, my focus was on that. 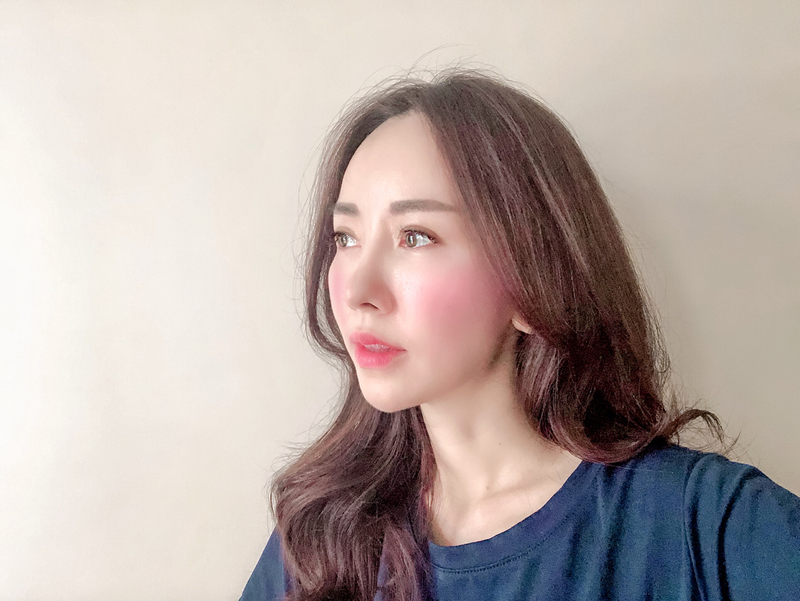 I finally found the time to visit Dr Ee of The Clifford Aesthetics on 4 Dec 2018 to seek his professional advice on what should be done to rescue my face and he recommended me to try Pico Laser. 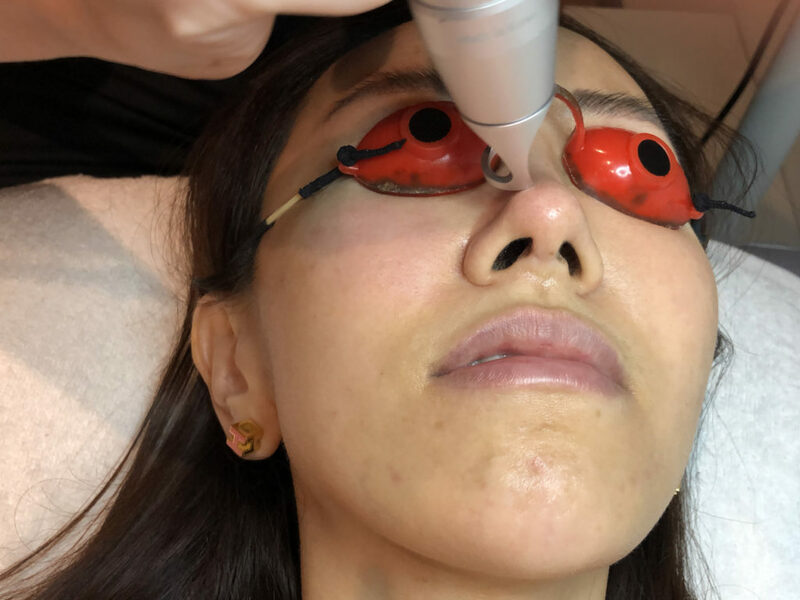 This was the first time I heard of Pico Laser and Dr Ee told me that it was the latest laser treatment in the industry. I would always try any beauty treatments first before I recommend anyone so I decided to give it a try to see if it gives results. 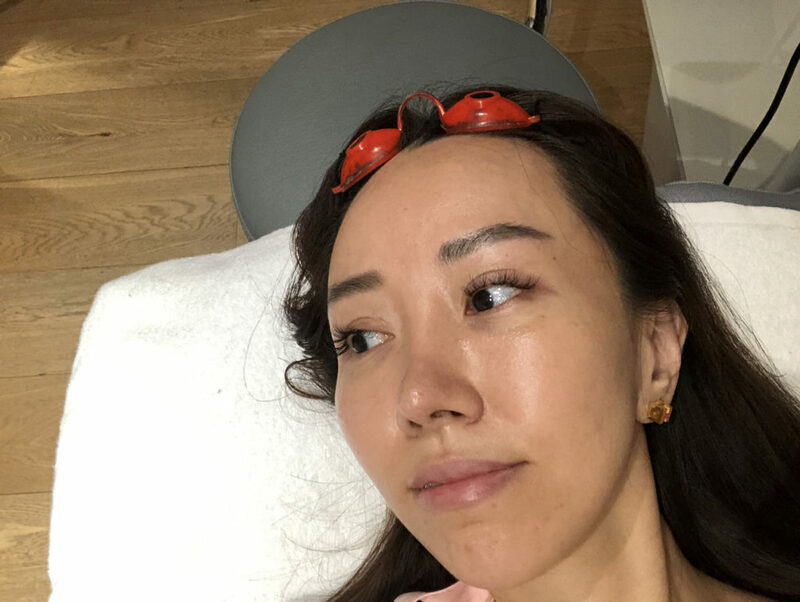 Numbing cream was applied to my face about half an hour before the Pico Laser treatment. This is a close up of my face. Gosh…Just look at my face full of pigmentation and blemishes… sigh! This is my first time hearing about Pico Laser and I decided to give it a try to see if it helps in my pigmentation issue. It utilises the latest technology in laser innovation for the treatment of fine lines, pigmentation, tattoo removal and skin restoration. It can also address an extensive variety of skin concerns including hyperpigmentation and sun spots. 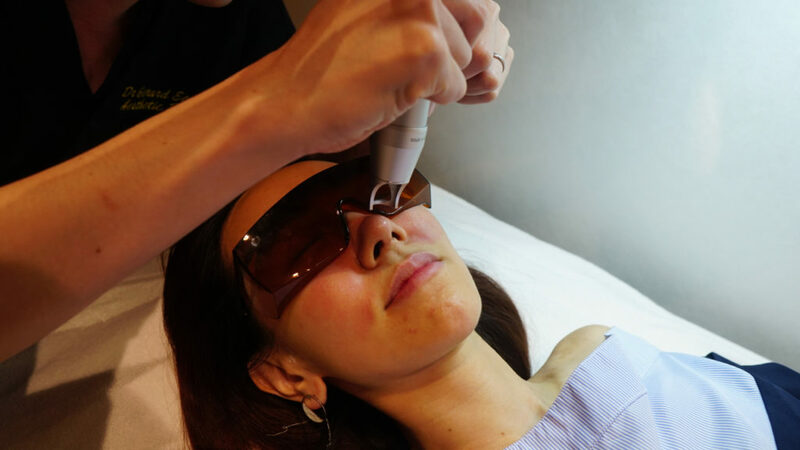 What is the difference between Pico Laser and Normal Laser? Pico Lasers can distribute energy in prodigiously short bursts (within several billionths of a second). The speedier the laser is, the more proficient it is. A quick laser has a shorter span between laser beats, which means it gives more laser beats each second. 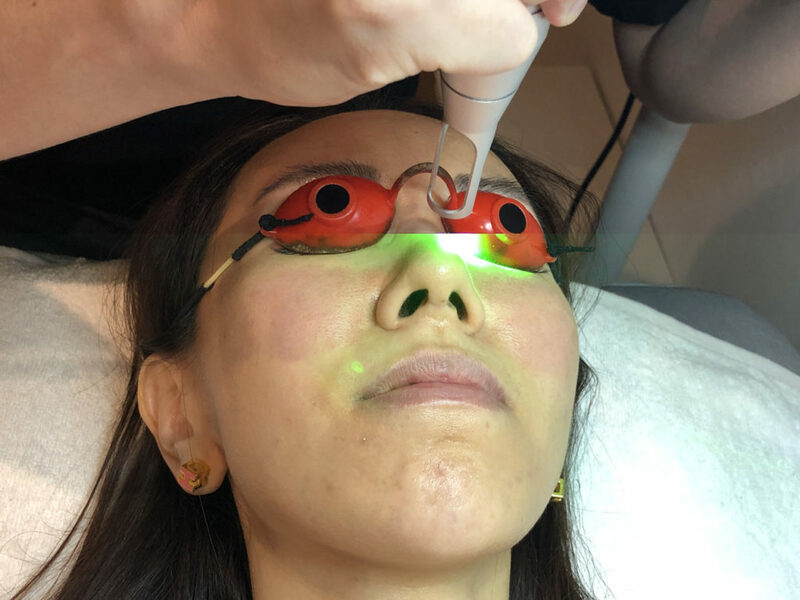 The shorter burst of energy circulated by the laser disrupts the pigment-containing cells within the skin, resulting in fading and clearing of the affected area. The energy conveyed by the Pico Laser can also rebuild skin collagen and improve its surface. The Pico Laser can perform many different functions. It can get rid of pigmentations and treat acne scars, rough textures and pores at the same time. 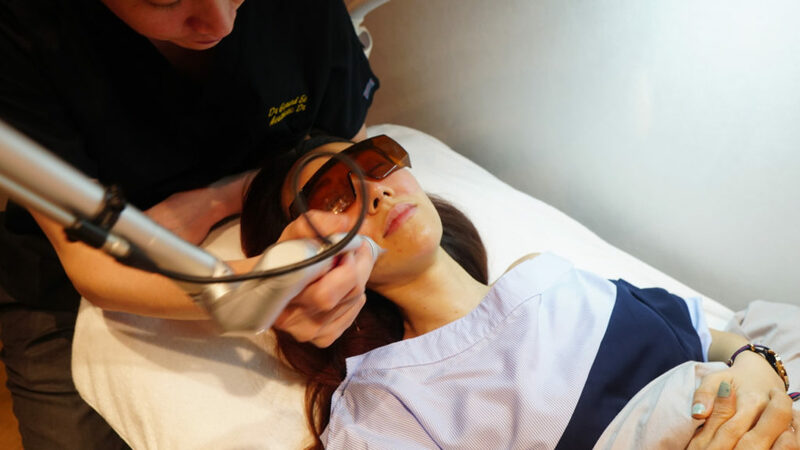 How the Picocare Laser is able to help scars is through the use of very fine laser beams that penetrates below the skin, causing tiny bubbles to form using micro-explosions. 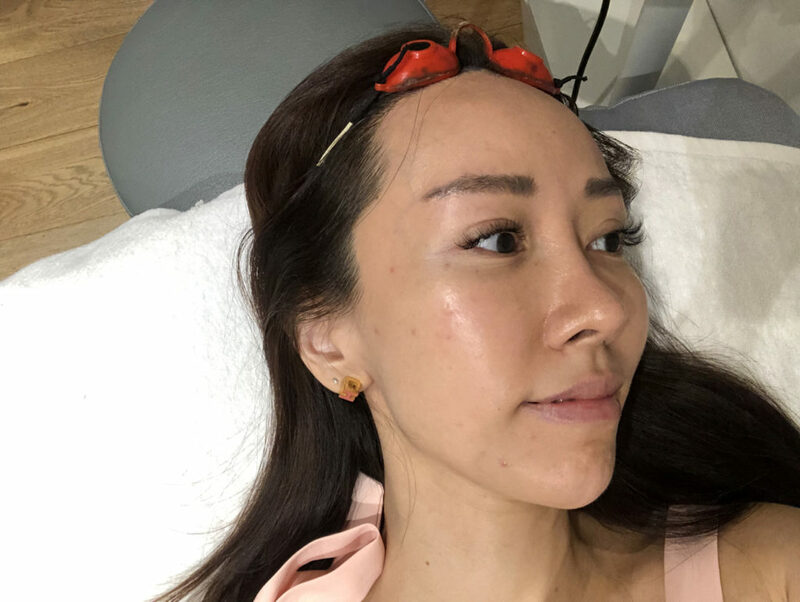 When the treatment is performed, the formed bubbles will fill up with collagen during the recovery and an “elevated” effect will help to raise depressed scars from acne. The feeling of the treatment is like rubber band snapping quickly on the skin. The skin will turn red but the redness will subsidy within 5 days or so. Dr Ee also focused the Pico laser on that big ‘hole’ or enlarged pore which bothered me a lot. The whole session takes about 20 mins or more, depending on the treated area and size. It is highly recommended to moisturize and apply sunscreen (>SPF 35) every 3 to 4 hours. The results may vary in every individual as everyone’s skin responds a bit differently but results normally can be seen after 1-2 treatments. 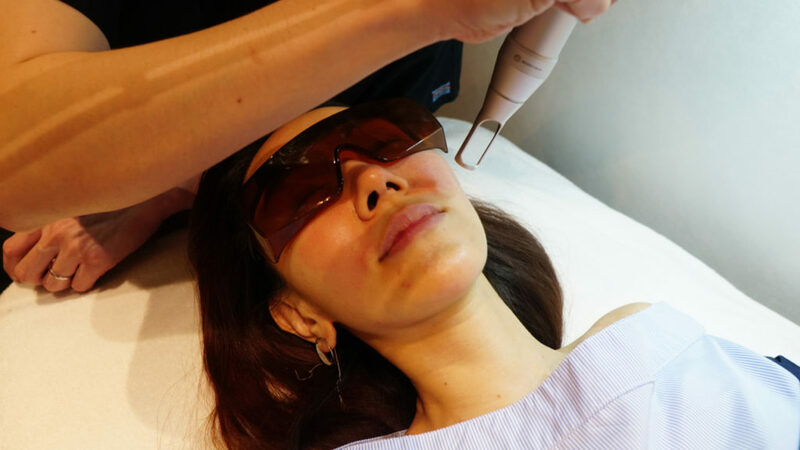 Actually immediately after the 1st session, although my face turned reddish, I could see my pigmentation fading. After gaining confidence from the 1st session, I decided to go back again for a second session on 3 Jan 2019. My pigmentation has faded and surprisingly, the ‘hole’ on my nose has shrunk considerably. I didn’t expect that it would become less noticeable after one session but I was super happy about it. 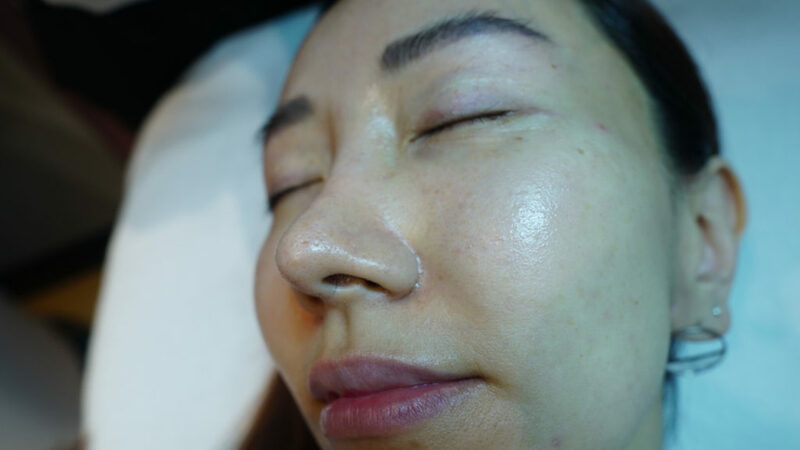 After the 1st session, I went overseas for a holiday and due to the climate change, my skin had some outbreaks which led to some pigmentation but luckily it wasn’t as terrible as before. I could see that the condition has improved a lot after the first session. And it was time for the second session. 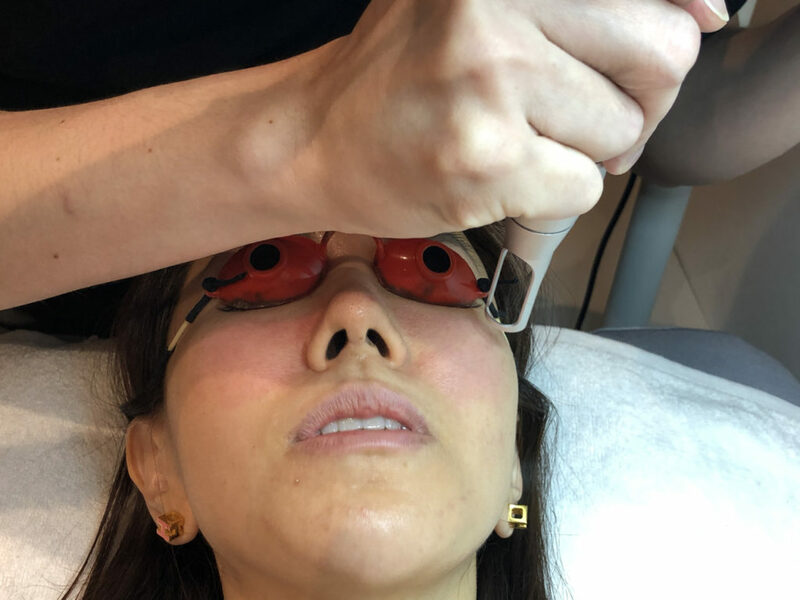 I mentioned to Dr Ee about how amazing Pico Laser was in making the pores smaller, especially the big ‘hole’ or enlarged pore on my nose and seeked his help to improve it even more. So Dr Ee focused on that first. wow… my mobile phone camera managed to capture the light from Pico Laser. No wonder I had to wear the eye protective goggles. You could see that there was some reddness on the area where Pico Laser was used to treat the skin. Well, to me, I just think of it as ‘blushing’ of the face… lol. Ain’t it great to have ‘rosy’ cheeks naturally? lol! The location is super convenient and those working can just drop by during lunchtime to get your dose of Pico Laser to improve your skin.